HearSayLW: What is it like to have APD? deal with the world, and how frustrating it is to just even have a conversation. "Each conversation takes my full attention, along with complications such as: background noises, and other distractions. " Experience first hand the activity demonstrated in the video. A child's ability to pay attention and focus on a teacher's instructions can mean the difference between scholastic success or failure. 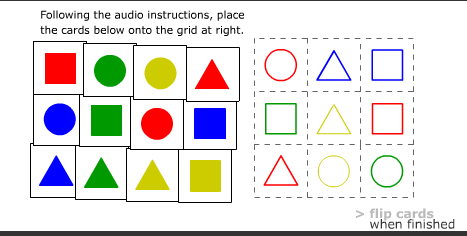 The following activity attempts to illustrate what it might be like for a first-grader with an attention disorder to try to concentrate on a set of oral instructions amidst a cacophony of classroom distractions. This activity requires Flash player. You should be sure that your computer's audio is turned on.